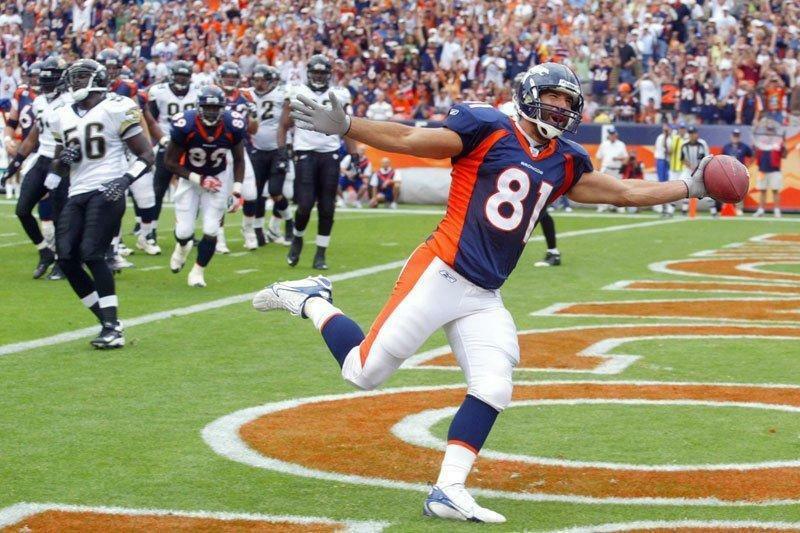 DENVER (AP) Former Broncos tight end Nate Jackson says he believes the NFL will have no choice but to remove marijuana from its lists of banned substances in the near future. Jackson said he avoided opiate painkillers as much as he could during his six-year career from 2003-08. Instead, he self-medicated with marijuana so that he wouldn't retire addicted to prescription drugs like so many of his contemporaries, he said. ''I feel like I exited the game with my mind intact. And I credit that to marijuana in a lot of ways and not getting hooked on these pain pills that are recklessly distributed in the league when a guy gets an injury,'' Jackson said. He said he believes most NFL players use marijuana - they're only tested for street drugs once a year whereas random tests for steroids are conducted year-round - and that the league knows this. That's why Jackson said he believes the league, beleaguered by a domestic abuse saga last year, is ''going to get behind this movement'' to de-stigmatize the use of marijuana and allow players to use it without penalty. ''That's the most promising of those bullet points for sure,'' Jackson said after his keynote address and panel discussion. ''I don't ever think the league will come out with like a marijuana banner. They're never going to say, `Hey, marijuana, it's great for everyone!' But I think what they will do is remove it from the banned substances list and stop punishing people for it,'' Jackson said. ''It actually keeps it in the news more when it is a banned substance than if it weren't. ''I consider it a performance-inspiring drug,'' Jackson said. He said he could see how it could help runners, bicyclists, golfers and other athletes who aren't getting attacked by 11 defenders.